This is my last blog post about Anne river. Here she is, on her final run to the Ocean. All the way from Dunhill, through the yellow Iris and Buttercup fields. 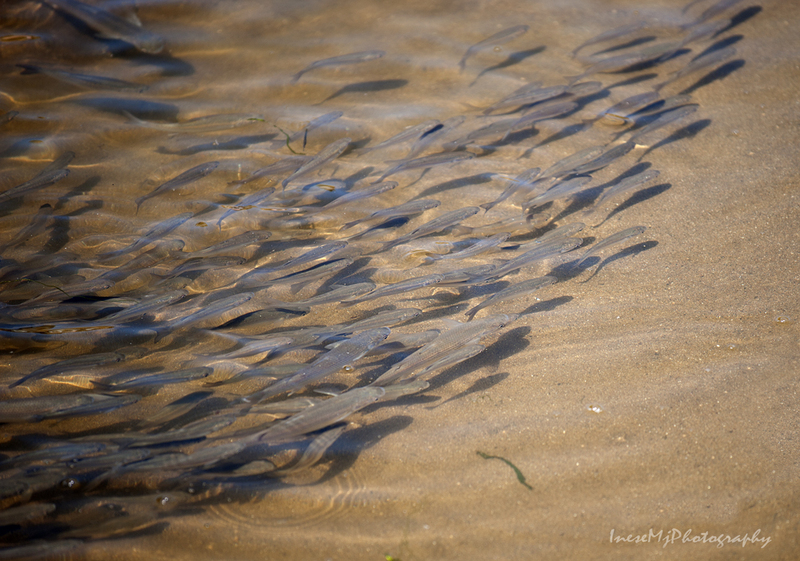 Her waters are so clear that I spotted a school of young fish feeding on something invisible. 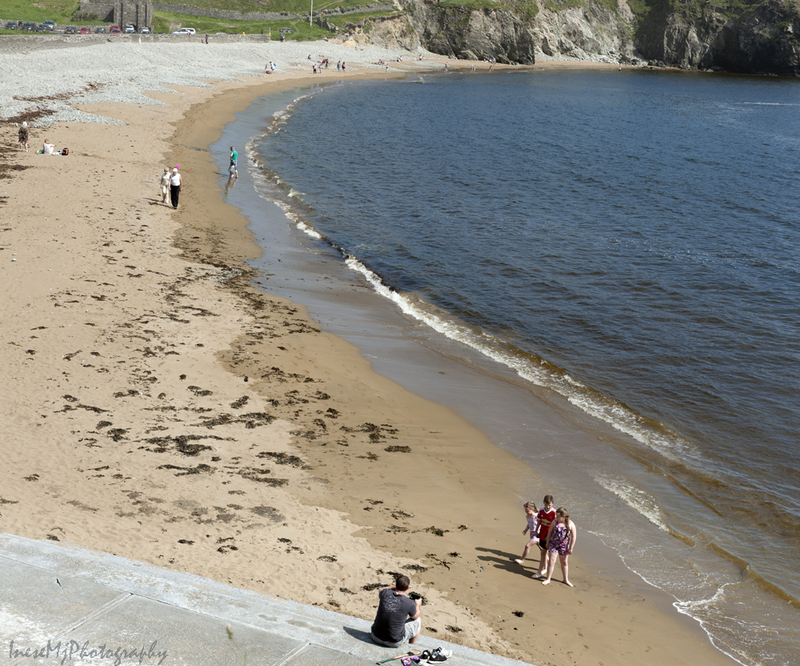 Final destination – Annestown beach. It is where Anne River meets the Ocean. First I climb the eastern edge of the cliff, but I don’t walk any further – I think this part is quite dangerous to walk. 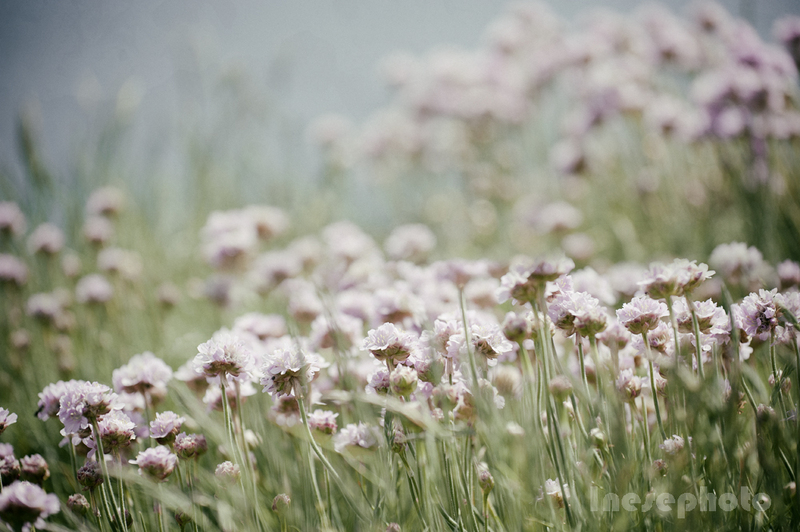 I sit down in the soft grass and enjoy what I see. 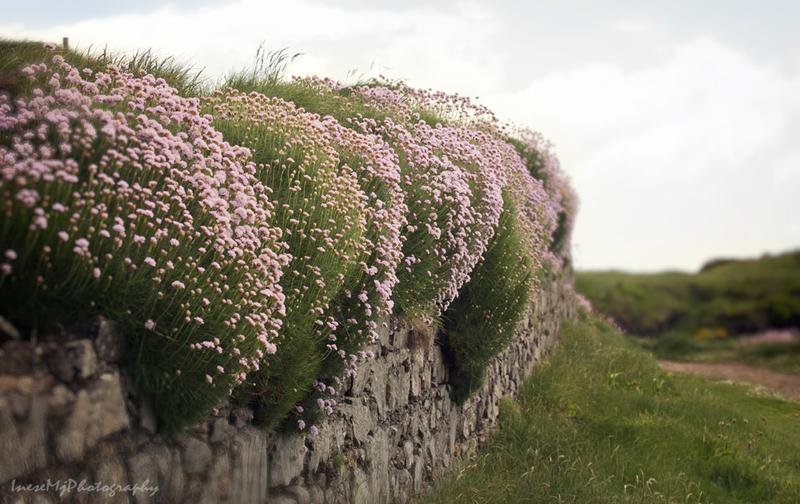 Thrift (Armeria maritima) is blooming in early June, and it is the most beautiful part of the scenery. 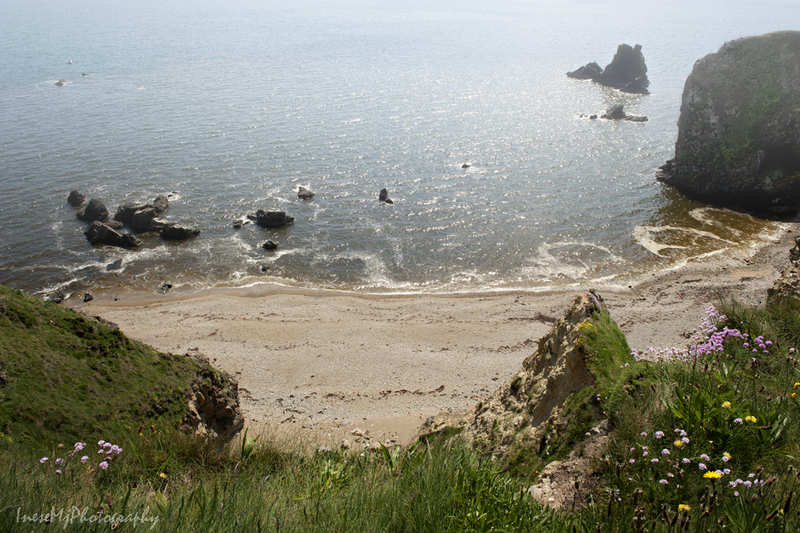 I cross the beach and walk to the western edge, where cliff walking is safer. I have taken many photographs but it is impossible to share everything in this blog. One of the little pleasures was taking photographs of many flowers I came across. 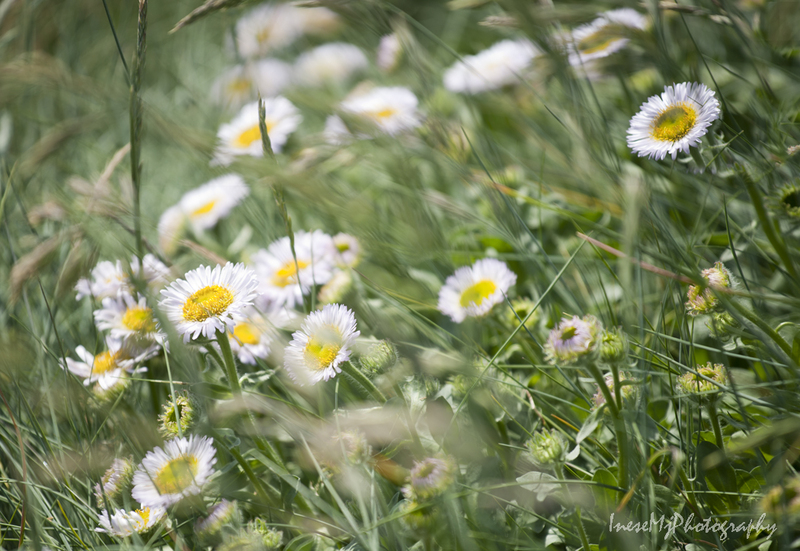 I found some big, sturdy daisies that looked a bit like the Seaside daisy but not exactly. 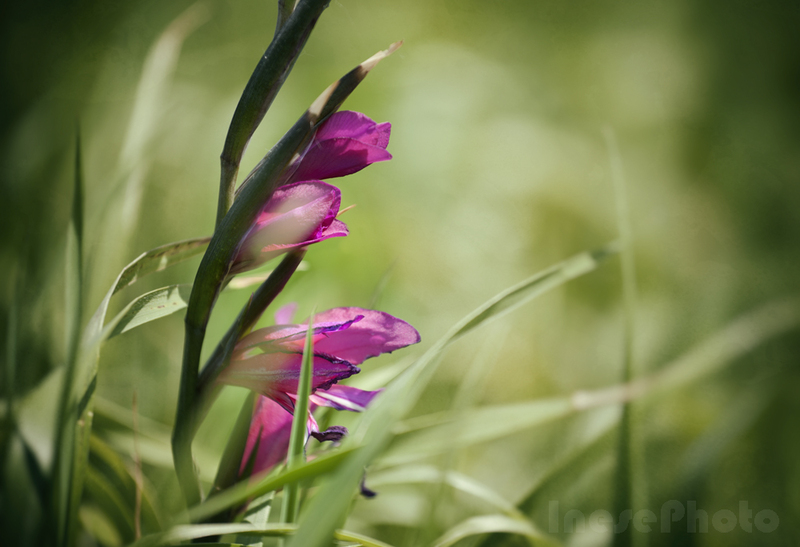 I also found a single flower of Gladiolus. This is the view from the western edge. If you click on the photograph to enlarge it, you will see a stony structure in the end of the beach. It is the remains of a lime kiln. Limestone was heated there until it crumbled, and was then used for fertilising the land. 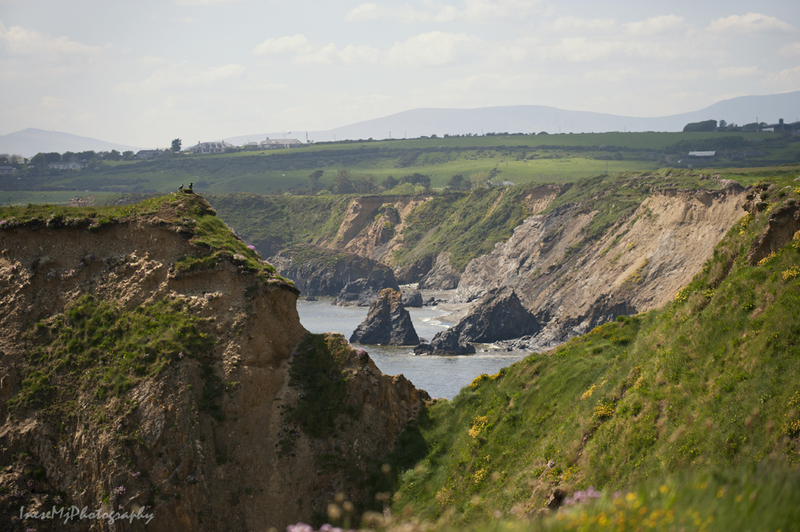 There are many magnificent rocks and cliffs and welcoming coves down there. It is where I turned back: I didn’t like that crumbling sandy slope. It is the Ballydowane cove. 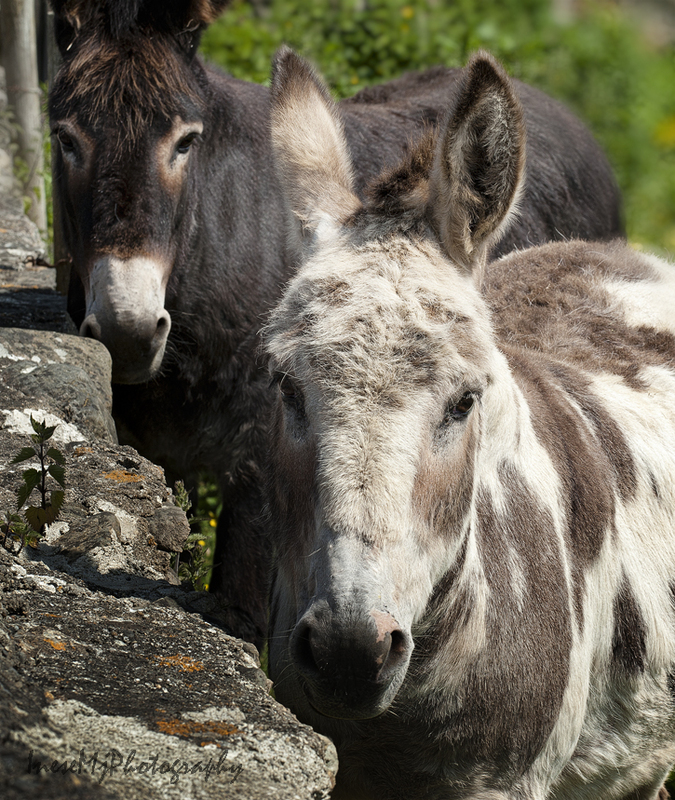 Back in Annestown, there are two donkeys – the most photographed donkeys in the area. I am not sure if they are the same donkeys I see every year – they must be not. Life of a donkey is harsh and unpredictable. 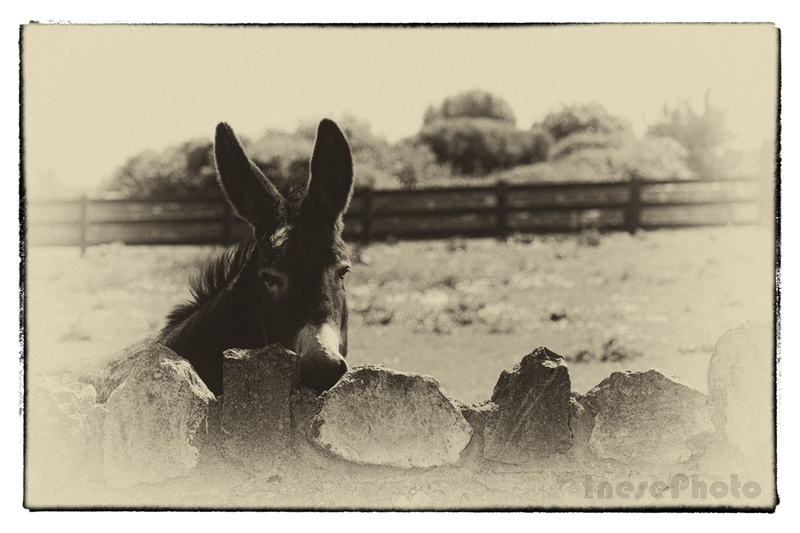 As I was talking to them and rubbing their ears and heads, I though about the generations of donkeys that have lived in this old paddock over the years, or may be, centuries. They have never seen beautiful Anne River valley that lies just a quarter of mile down the hill from them, with its lush grasses and clean, transparent waters. Thank you for walking with me through these three blog posts along the Anne River! Wow I love the photos and your comments. Once again you take me on a lovely journey. Thank you! Nancy, I am very happy that I can take you to a lovely place 🙂 It is why I love photography. 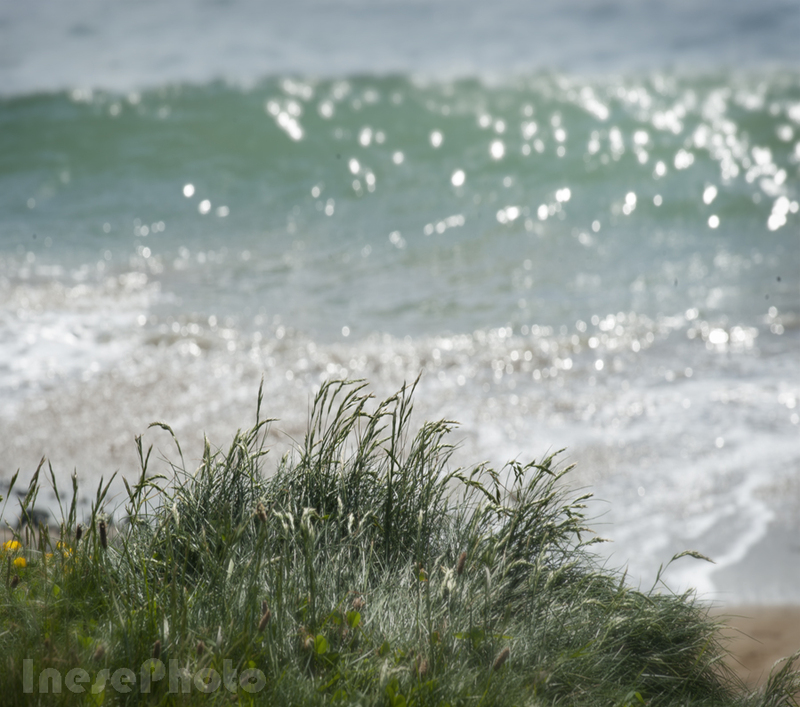 I love thrift and that small clump with the blurred sea in the background is lovely. I’ve tried to grow it in my garden but I don’t think the soil is sandy enough so it only lasts for a year or two. Your second fish shot is fantastic; those fish are lucky the water is so clean. Thanks for the tour. I guess there is something special in the soil that thrift needs. Here it seems to grow on a bare cliff. This is spellbinding. Everything looks so unpolluted. 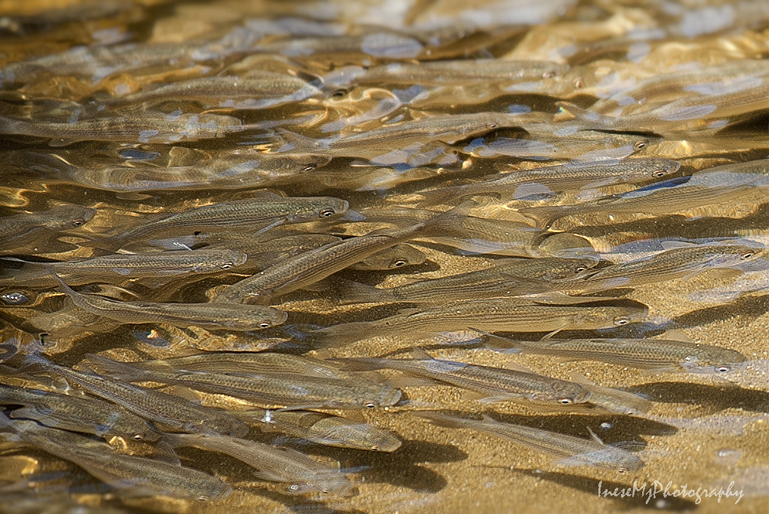 I’ve never seen such a large shoal of fish. 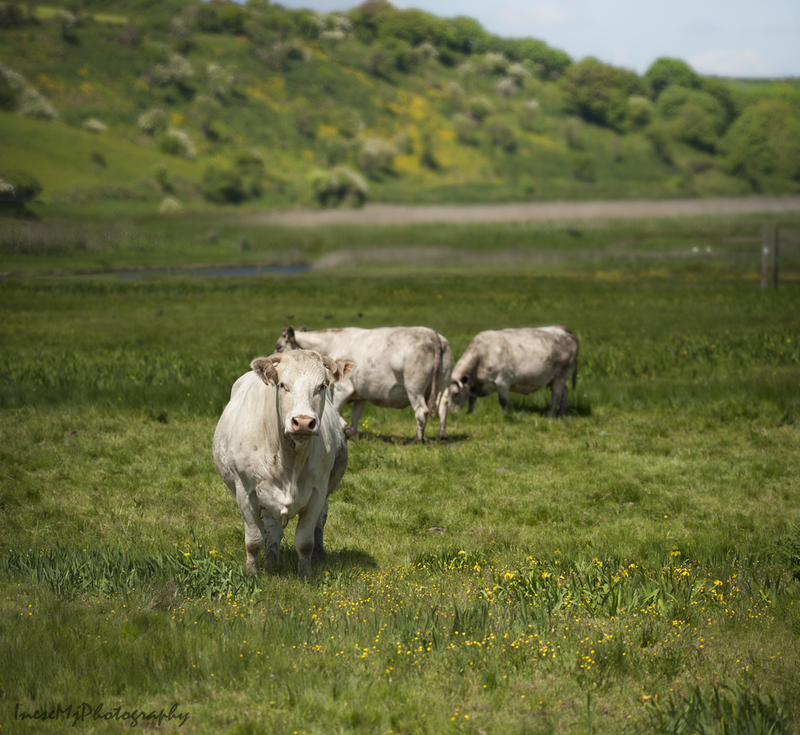 Absolutely love the white cattle and the donkeys. Thanks for taking us on that journey. I’ve relished the beauty of it from beginning to end. Thank you for stopping by, Sarah! This tiny river is a gem. The water looks so clean and unspoiled. It felt as if I were walking beside you as you took photos of the lovely things you encountered on your way — even the donkeys are beautiful! This has been a delightful journey Inese, illustrated by your beautiful photographs. A lovely trip, and thank you, Inese for the stunning photography! The donkeys have my heart. Wow, how beautiful photos You have in this post. Rocks and cliffs photos are presenting gorgeous landscape. Happy weekend! Thank you so much! Happy weekend to you too! What a beautiful post and wonderful photographs! Thank you, I love posts like yours. Thank you so much, Herman! Grand finale! 🙂 🙂 I love the sweeping beach shot and the thrift. Thank you so much! 🙂 The thrift makes awesome pictures. I love the stubborn donkeys 🙂 Thank you for stopping by, Olga! Your photos must reflect what Paradise looks like — simply breathtaking! Thank you! Never came close to that cow 🙂 I was standing on the road. No, don’t risk a fall to capture a photograph! 🙂 Your safety is very much on my mind when I see decaying castles and flowers on edges of cliffs! Blessings sent your way, friend! That was heavenly. I wish I could have been there in person, but your photos took me there in spirit. 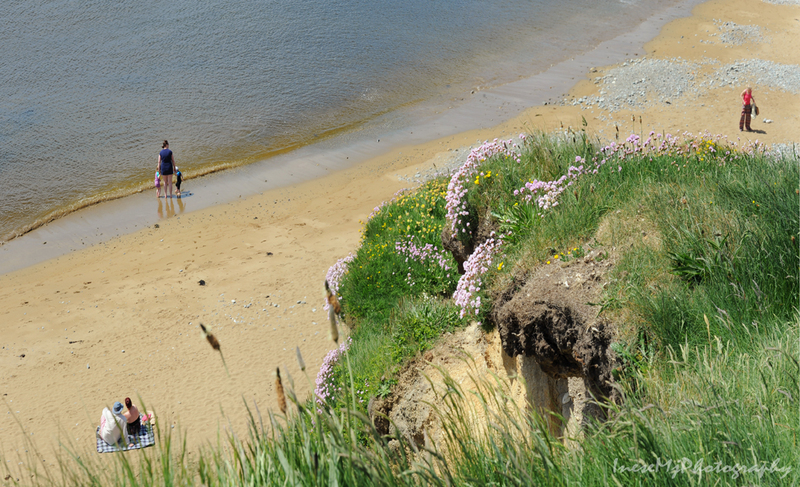 Love the river, beach, cove, flowers and the donkeys! Thank you for the walk. It must be nice. I so miss walking in nature as we do in Europe. Here it is impossible. Thank you so much, Roberta! The beauty that you captured with your camera has taken me to visit a place that I will probably never see in person. Thanks for sharing your luscious photos. Thank you so much for joining the walk, Bernadette! We had a beautiful weather in May. Your talented ability to take such awesome photos and combining them with interesting narrative makes your blog truly outstanding. Thank you so much, Derrick! 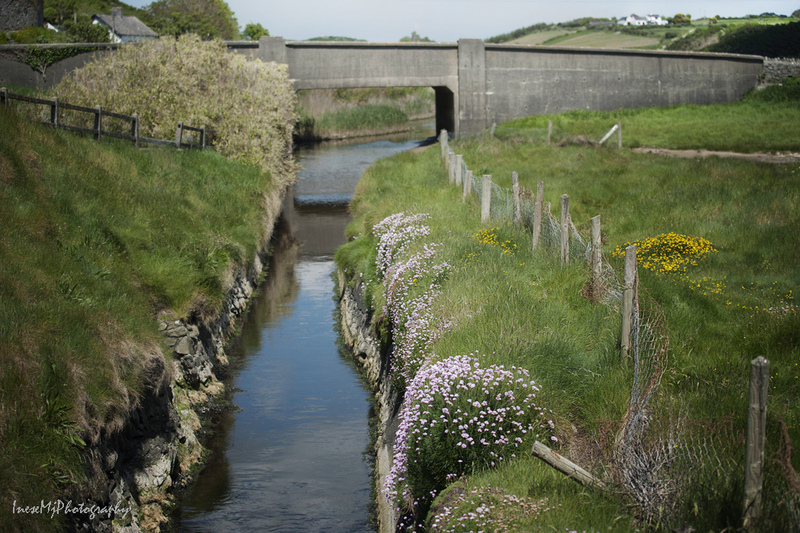 The backdrop of the water with the tall grasses was just…oh, and those thrift just made me sigh achingly for a trip to Ireland NOW. The colors are so strong here, so clear. Everything’s so defined, and pulls me in for a walk through your perception. A feat, dear friend, a most beautiful feat. Here we have a donkey bossed around by two rather nasty Shetland ponies…seems to me you have it rather better for those of your own. A wonderful walk through a lovely land without having to walk it! Thank you for joining me for this walk! Anne River is one of my favorites because of the delightful valley it flows through. It is sad that the ponies bossy around the poor donkey. If he had a companion, he would be happier and more confident. Feel so fortunate to be able to go to Annestown most days. Its beauty has haunted me since I was a tot. Just back from a swim in nearby Garrarus. So calm this evening. How lucky we are to be surrounded by all this! I admire your swimming skill. Have never been in Garrarus – must go some day. No skill involved in my kind of dipping, Inese. It’s an addiction to the lovely seas, especially the one around here. Gorgeous, as always! Those donkeys are orecious. It’s been a lovely stroll – thank you! 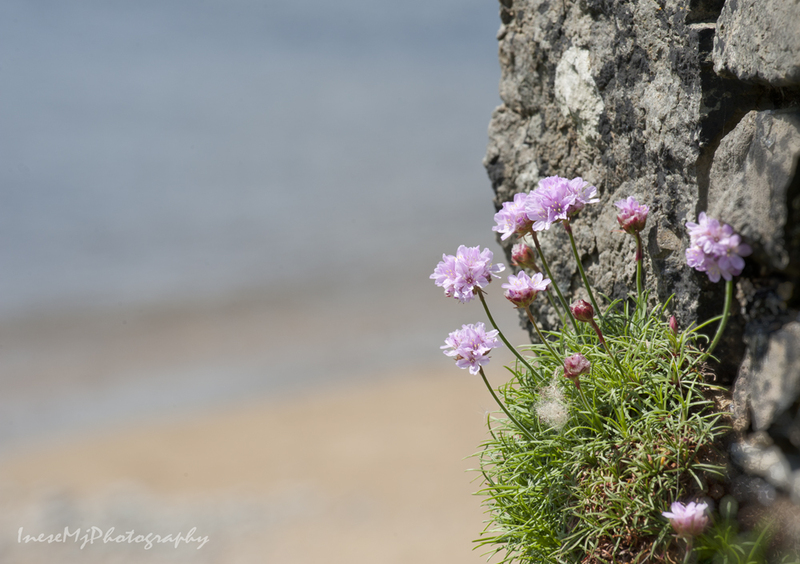 Some of those sandy cliffs did look treacherous, but the beach and coves are lovely, and there’s something very appealing to me, about little flowers growing out of a stone crack. This has been a very nice series of posts, Inese Thank you! Thank you so much, Cynthia! I did feel uneasy walking so close to the cliff edge. The cliffs actually can crumble… My feet were sinking in the grass – as if I walked on a different planet 🙂 It was somewhat surreal and very exciting. Only when I saw the sandy slopes I realised how dangerous such walk can be. Oh, thank you for taking us along via your photos! What view at the end where the river meets the ocean. The thrifts are gorgeous! And so many great images – I had to go back and visit more than once. You are a brave climber! Thank you so much! 🙂 I felt a bit reckless walking so close to the edge. Wouldn’t do it in a windy day. The beauty is beyond any photograph. The last time you treat us with Anne river. And, it is beautifully photographed, thanks Inese. Thank you so much, Bob! Anne river is very short, just a couple of miles, but she changes all the landscape so beautifully. Thank you so much, Teagan! Sometimes a calming scene is exactly what we need. Anne River is rather a tiny stream than a river, but she does have a calming effect, and brings joy. Thank you for this privilege and amazing opportunity to walk these amazing paths and see the world through your photos. Just WOW!!! Very delightful post. Love those scenic and flower pictures! Thank you so much! It is the last stretch of the river, and quite delightful one. Thank you so much, Diane! Wishing you all the best!